As a homeowner, you probably spend most of your time, money, and energy keeping the inside of your home neat, tidy, and maintained. After all, you and visitors want to have new kitchen appliances, nice seating areas, and comfortable beds to sleep on, right? But while you’re busy focusing on interior aesthetics, it’s important to not let exterior maintenance slide. 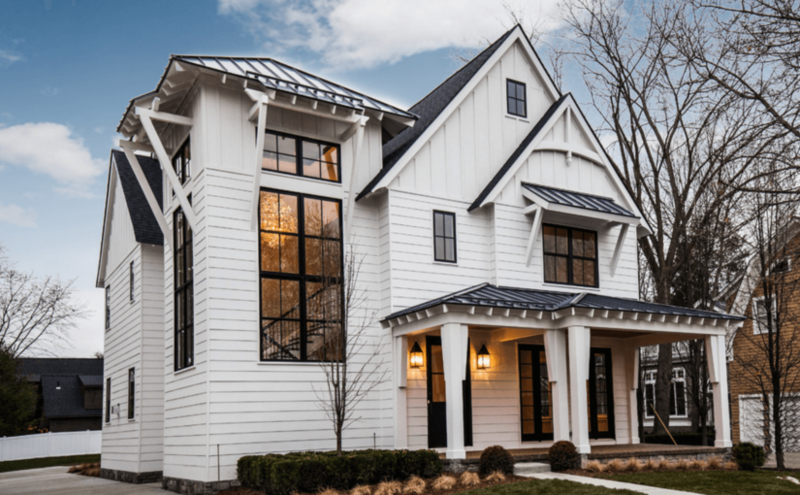 From the roof to the doors and windows, maintaining your home’s exterior will keep it looking its best and even avoid functional problems down the road. If you’re concerned about keeping your house updated from the outside in, here are five often-overlooked exterior features to focus on. Another exterior feature of your house that’s easy to forget about is the lighting. After all, you’re usually inside when it’s dark enough to turn the lights on, which makes it easy to focus your attention on keeping the interior lights in good shape. But it’s also important to take care of the exterior lighting, too. After all, the outside lights give your home an added layer of security, and they’re the first thing visitors see when they pull in the driveway after dark. With the right lighting, you can even transform the look of an outdoor area, such as a deck, pool, or patio, into a more entertainment-friendly place where people enjoy gathering. With the variety of external light fixtures available today, your biggest challenge will be finding one that meets your home’s décor and your personal aesthetic preferences. When you’re looking at lights, consider getting fixtures that are made with LED light bulbs, which are longer-lasting and brighter than conventional light bulbs. If you have a path, or a need of one either in your front yard or backyard, you can also think about how many light fixtures are going to be necessary. According to Legion Landscaping, f you’re using concrete pavers somewhere on your land, which can be used to create walkways, patios, and driveways, you’re also going to want to use some sort of landscape lighting to make sure guests (or yourself) don’t fall or trip on them. Although you use them every day, it’s easy to forget that the doors and windows of your home need to be checked and maintained. It’s important to keep them working correctly as they are both your gateway to and your defense against the outside world. Only properly functioning doors and windows can provide security, energy efficiency, and protection against natural elements. Windows and doors can expand and shrink over time, which makes them less likely to fit securely in their original frames. They will also be more difficult to latch and lock, which makes it easy for an intruder to enter the home. Cracks and gaps in doors and windows can also make the house drafty, which is uncomfortable for daily living and can dramatically increase your heating and air conditioning bills. Leaking or improperly sealed doors and windows are susceptible to damage from rain, which can also ruin other interior components and invite the growth of mold and mildew. You might think nothing of pulling up the driveway and opening the garage doors, but you certainly notice when they don’t work! It might not be apparent, but garage doors play a big role in insulating your house and protecting your home from intruders. Garage doors can also boost your home’s aesthetics and curb appeal. However, since you use them frequently, they are also prone to wearing out faster than other parts of your home. Since garage door problems can rapidly get worse, it’s important to keep the doors in good working condition and address problems before they become difficult and expensive to fix. The garage doors should be balanced and lubricated to prevent squeaking and rusting. Although you might not be able to diagnose a garage door problem yourself, you can generally tell when a door is acting strange. At this point, it’s time to call in a professional to find and fix the problem. A professional can also let you know if there are any other underlying problems such as gaps between the doors and seals. This can cause heat to escape and increase your energy bills. Since you see the inside of your house every day, it’s easy to forget that the exterior also needs occasional attention to make sure it’s safe, functional, and looking its best. A strong roof, for instance, protects you and your family from outside hazards. Sturdy, tight windows and doors give your house a sense of security and keep out cold drafts. Admittedly, you probably forget most of the time that your roof is even there. And unfortunately, you’re often only reminded of its presence when something goes wrong, like a leak develops or the roof gets damaged by falling debris. Although you might not see all the forces acting on it, your roof takes a beating from the elements each day. High winds, driving rain, heavy snow, and pelting hail can damage your roof and shorten its lifespan. Even extreme hot and cold temperatures can take a toll on the roof. Prevention is definitely the best medicine, when it comes to your roof, as repairs to your roof will be less expensive if you catch them early. If you don’t know what to look for yourself, when it comes to inspecting your roof for signs of damage, it’s best to consult a professional to help out. Additionally, it’s much safer to have a trained professional climb around on your roof. Another exterior component that might be overlooked is the outside paint. Since you see your house every day, you might not notice changes in the paint color or quality. However, it’s important that you don’t neglect the paint as it serves both an aesthetic and a practical purpose, which is to protect the walls and your home’s interior from the sun and the elements. Unlike the roof, which can be hard to access and check yourself, it’s relatively easy to inspect the exterior paint for signs of problems. Paint damage gradually appears and worsens over time, so it’s a good idea to regularly check the paint to make sure it’s in top shape. Some common problems can arise if the exterior paint gets damaged. One possible ailment is called “alligatoring.” Alligatoring appears as scale-like cracks in the paint that resemble the skin of an alligator. Several factors can cause this to happen, including a top coat being put over a non-drying coat of paint or a top coat that dries too fast from the sun. Oil-based paints will also start to develop scaly cracks as they age. Temperature fluctuations can also cause the paint film to lose elasticity and crack. You may also notice paint with bubbles or blisters. This happens if the paint is applied in direct sunlight or if oil-based paint is applied over a wet surface. Latex paints that are exposed to moisture or high humidity levels are also prone to blistering. Sometimes, you’ll notice that a chalky substance develops on the paint film. This happens as the paint fades and accumulates damage from weather and the elements. Along with causing the paint to lose its initial luster and color, chalking also means that the paint has been weakened by the elements. It should be replaced to protect the walls and interior from rain and sun damage. Cracking, flaking, and chipping of paint is another problem. Initially, the paint might just have hairline cracks. As the problem progresses, chipping and flaking become more noticeable. Low-quality paints are prone to this problem, and any paint that is applied in cool weather can start to crack and flake. Exterior painting can lose its luster over time, and it can also cause damage to the walls and interior if it starts to fail. Exterior painting is one of the best ways to ensure longevity of the exterior of your home. Outside lights can give your home a stylish new look and make it enjoyable for outdoor entertaining while new garage doors boost your home’s appeal and value.